After seeing how Anne quilted hers I told Marlene we should do something different and she suggested feathers! I was more than happy to quilt flowing feathers and they went so well with the pieced flying geese. 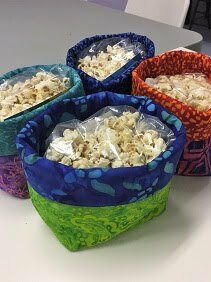 I used white So Fine thread and Quilters Dream Blend batting. Sorry for all the pictures but I really miss that view making it hard to limit the pictures! Bet you didn’t expect to see anymore pictures from Schist Lake. Well my next post will have some pictures from there too! Schist Lake, no snow there!!! 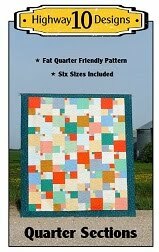 I love those geese, and the quilting is a super finish. 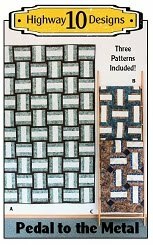 Really neat quilt, the quilting is fabulous! Gosh, this is a pretty quilt, and very aptly named. Oh, I knew you were going to miss that view! 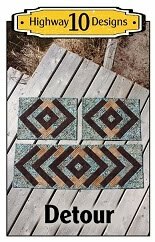 This is a great design, and your quilting is beautiful on it. 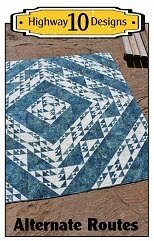 I tend to avoid flying geese, due to them turning out wonky, but I might have to find a new technique for them and make this quilt! 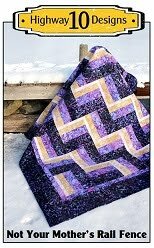 It's a great pattern and I like the swirling feathers you quilted. Schist Lake is a perfect backdrop for your quilt pictures! I love this - and your feathers look beautiful on it!